The 2015 Nissan Murano has redefined the premium crossover once again, and the world’s largest science and technology magazine has taken note. Today, Popular Science named the 2015 Murano a “Best of What’s New” award winner, the magazine’s top honor given to products or technologies that represent a “significant step forward.” The all-new Murano – which resets the standard in the midsize crossover segment with breakthrough design, premium interior and purposeful technology – is part of an exclusive group of vehicles recognized in the Automotive category. Each year, Popular Science editors review thousands of new products and innovations to determine the top 100 winners across 12 categories for inclusion in the December “Best of What’s New” issue – the most-read issue of the year. 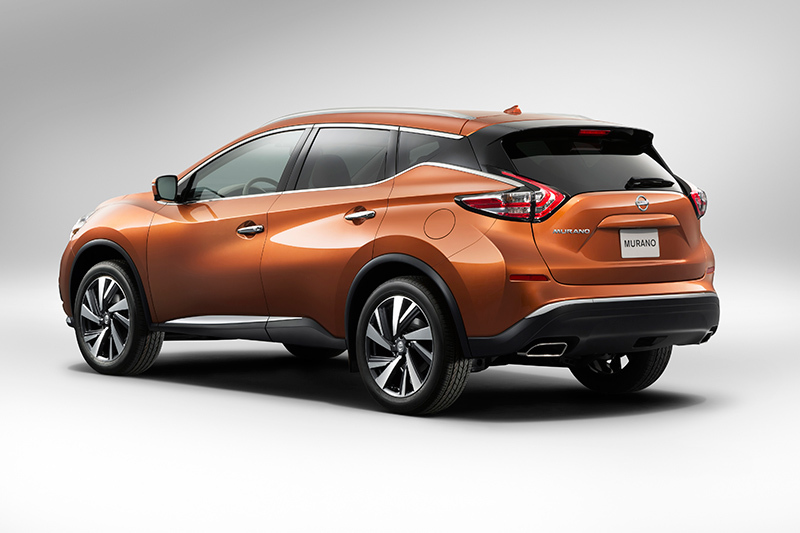 The 2015 Murano and other award winners will be featured in the special issue, which is on newsstands starting today. The all-new third-generation Murano design features concept car-like styling, premium interior and advanced, purposeful technology. The breakthrough exterior design projects a sense of refined intensity, creating an immediate “wow” response, and a low 0.31 Cd drag coefficient. The breakthrough exterior design carries into the interior, which offers an engaging social lounge feel through features such as the refined instrument panel, low center console, advanced Zero Gravity front and outboard rear seating, and the airy atmosphere created by the large windows and oversized Power Panoramic Moonroof. Available technology features include NissanConnectSM with Navigation and Mobile Apps, 8-inch color display with multi-touch control, Around View® Monitor, 8-way power driver’s seat with power lumbar support, SiriusXM® Satellite Radio (SiriusXM subscription required, sold separately), Nissan Intelligent Key® with Push Button Ignition, iPod® interface, 11-speaker Bose® premium audio system, and Bluetooth® Hands-free Phone System. Responsive driving is provided by a standard 3.5-liter DOHC V6 connected to an advanced Xtronic transmission. 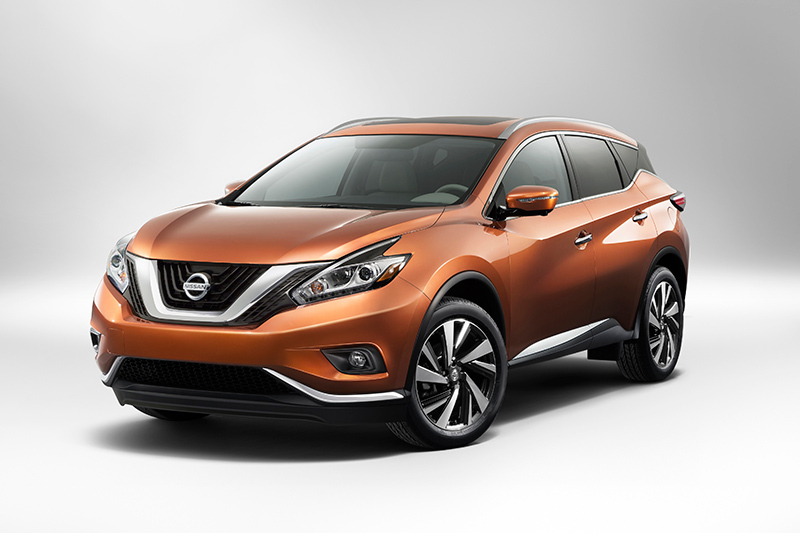 Murano is available in front-wheel drive or Intuitive All-Wheel Drive. Fuel economy is expected to increase around 20 percent from the previous generation Murano, thanks in part to reduced weight (approximately 145 pounds), low rolling resistance tires, active grille shutter, low 0.31 Cd, underbody covers that enhance underbody airflow and improvements to the Xtronic transmission. Available technologies include Moving Object Detection (MOD), Blind Spot Warning (BSW), Predictive Forward Collision Warning (PFCW) and Forward Emergency Braking. When you are backing out of a parking space, the new Rear Cross Traffic Alert (RCTA) system can warn you about vehicles you may not see approaching from either side. To view the complete Popular Science “Best of What’s New” awards list, please visit bestofwhatsnew.popsci.com.